There were several undertakings that were announced during the two hour press conference at the old Belize. Minister of Tourism Manuel Heredia announced a tourism development plan for areas like Turneffe. The Fisheries Department also had an announcement; the living aquatic resource bill is an extremely important document that Minister Alamilla will take to Cabinet for approval. 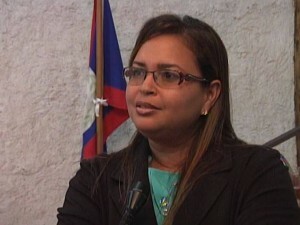 According to the Fisheries Administrator, Beverly Wade it will be a tremendous boost to the Fisheries Act. Lots of nice adjectives, but what does this new law provide? Our fisheries could be a more important part of the economy, I believe, with prudent management and leadership. As always with new laws, the devil is in the details — so let’s see the details! Patrick Faber, next U.D.P. Party Leader?